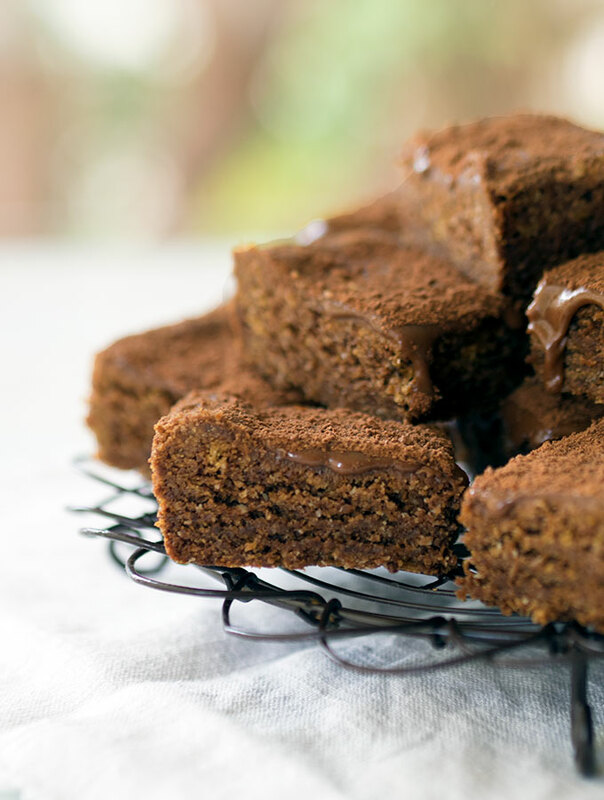 This is a super easy Milo Slice recipe using Australian Weet-Bix. Perfect for as an after school or work treat. I have to admit it has probably been a couple of decades since I have made a slice using Weet-Bix. For my American readers, Weet-Bix is an Australian breakfast cereal. The closest thing I can find to it in the States is Shredded Wheat and I’m not quite sure if it will substitute very well, but you could give it a try. Weet-Bix slices are the kind of slice you make as an after school treat or for the school fete. For some strange reason last weekend I was craving an old fashioned slice, one reminiscent of my school days. Maybe it was due to all the back to school advertising as the school holidays draw to an end? The decision was made to really us the Aussie factor on my slice with Milo. This easy Milo Slice is packed with Milo flavour. The closest relative to Milo you will find in the USA is Ovaltine. Let’s be honest, it isn’t a pretty slice, but it is pretty delicious! 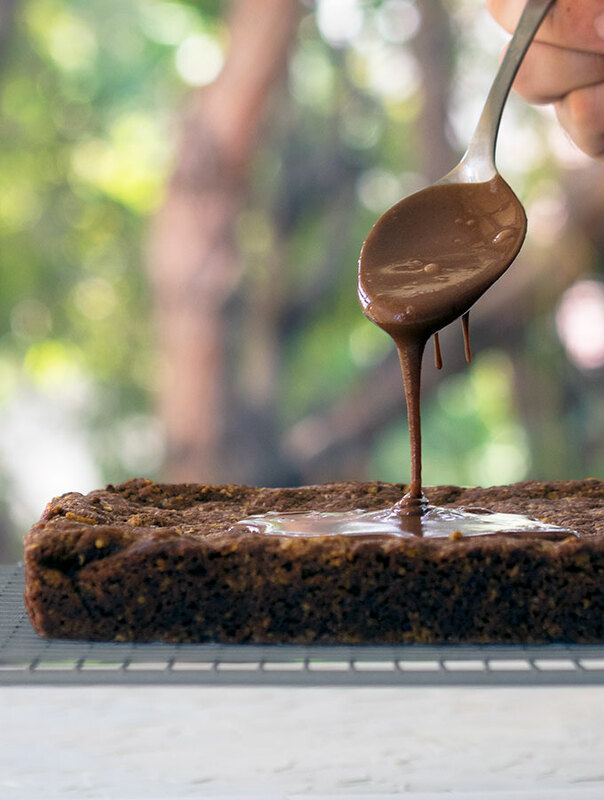 The slice base is packed with Milo, the icing is also made from Milo. To finish it off, I topped this easy Milo slice with a good sprinkling of Milo. Milo addicts are going to love this recipe. As mentioned it’s a great slice as an after school treat. It also travels well, perfect for picnics, school fetes or any other occasion you want to take a sweet treat. 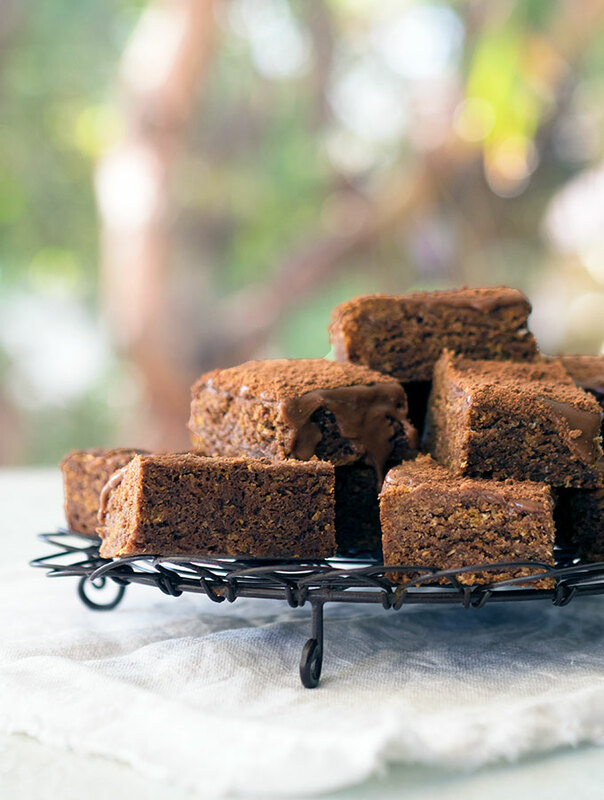 This recipe is based on the original Weet-Bix Slice recipe, which you can find here. The changes I made were to cut down the amount of sugar, swapping out margarine for butter and I obviously “Milofied” the recipe. The slice has a crunch from the cereal and coconut, but also has a chew factor, which I love. I do hope you love my Milofied version of a classic Weet-Bix slice. 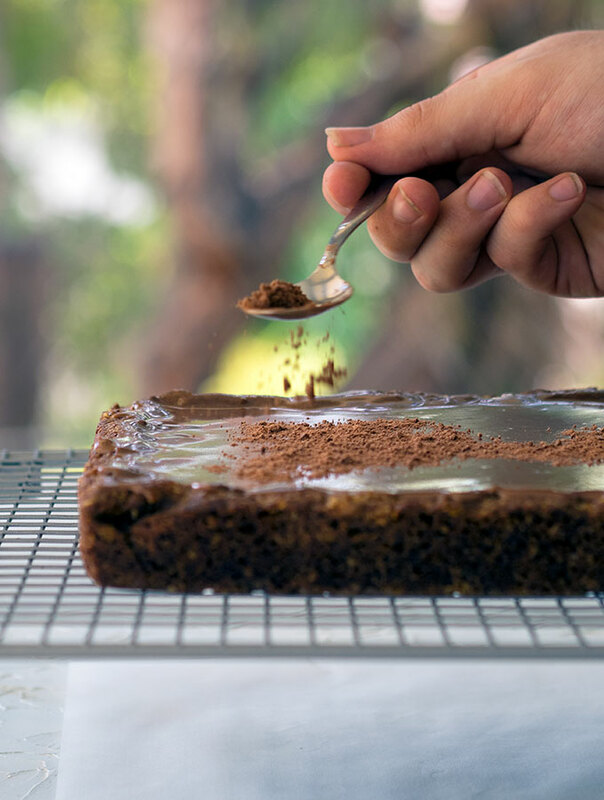 If you end up making this super easy Milo Slice don’t forget to share it on social media and tag @bellyrumbles. Do you have a favourite childhood slice you have been craving lately? Super easy Milo slice based on the good old Weet-Bix slice recipe. Topped with Milo icing and then finished off with a good sprinkling of Milo. If you love Milo you will go nuts for this slice. Pre-heat oven 180 deg C (360 deg F). Line 20cm x 30cm (7" x 11") slice tin with baking paper. In a large bowl combine Weet-Bix, milo, flour, baking powder and coconut. Mix well. In a small saucepan place sugar, golden syrup, butter and vanilla. Over a low heat stir until butter has melted and sugar has dissolved. Pour butter mixture into mixed dry ingredients. Mix until thoroughly combined. Press mixture into the lined tin, place in the oven and bake for 20 minutes or until firm. Once cooked remove from oven and place on cake rack to cool. Place icing sugar in a medium size bowl. In a small jug place milo and add 2 tablespoons of boiling water. Mix well until milo has dissolved. Pour milo into the icing sugar and mix well. You may need to add an extra couple of tablespoons of boiling water. Add one tablespoon at a time and mix well between each addition until you get a thick but spreadable icing consistency. Weet-Bix are made in Australia by the company Sanitarium and are a popular breakfast cereal, or you could say cereal brick. The UK equivalent is Weetabix. There is no real equivalent in the USA, shredded wheat breakfast "bricks" are the closest I have found. Sara, is the shredded wheat in bricks like weet bix? And how much shredded wheat would you substitute for weet bix? Thank you so much – great site! Thanks! Love these bites – I made something similar as a child. Sugar hit! This is such an interesting recipe! Have pinned it as well. Good to know about weet bix. Thanks for this recipe. So glad you found it interesting, thanks for the pin love. This might have to be my next office bake. Thanks! Thanks Lisa, perfect to take to the office. Enjoy!